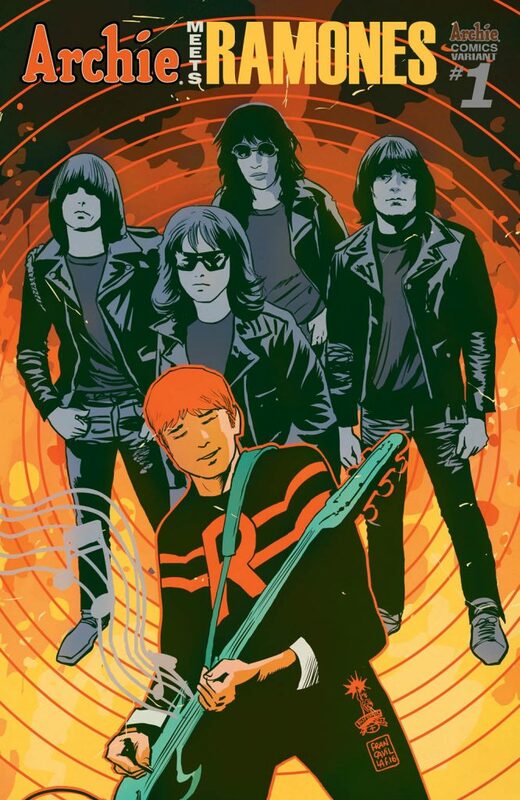 Home News Rock out in October when ARCHIE MEETS RAMONES with Alex Segura, Matthew Rosenberg, and Gisele Lagace! 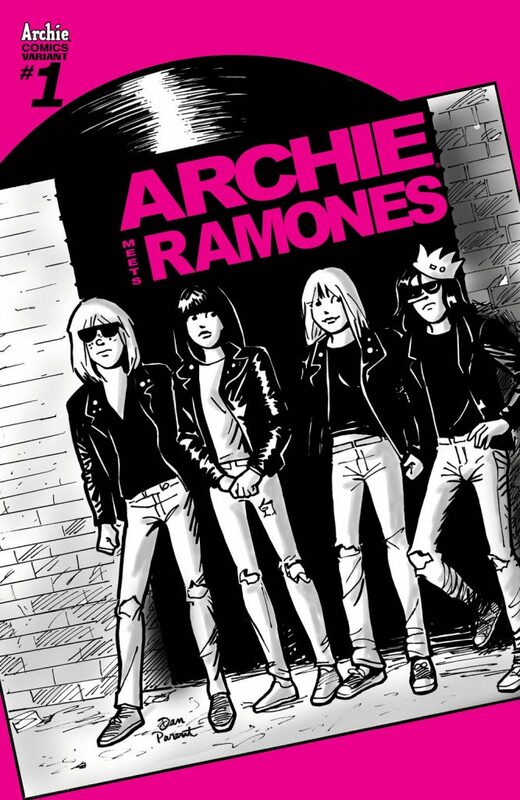 “When I was growing up Archie ignited my lifelong love for comics and Ramones are what made me fall in love with punk. As an adult, it’s a dream come true to be able to smash these two things together,” added co-writer Matthew Rosenberg. Hey! Ho! Let’s go! America’s favorite teens cross paths with the original NYC punks in this extra-sized one-shot spectacular that is not to be missed! 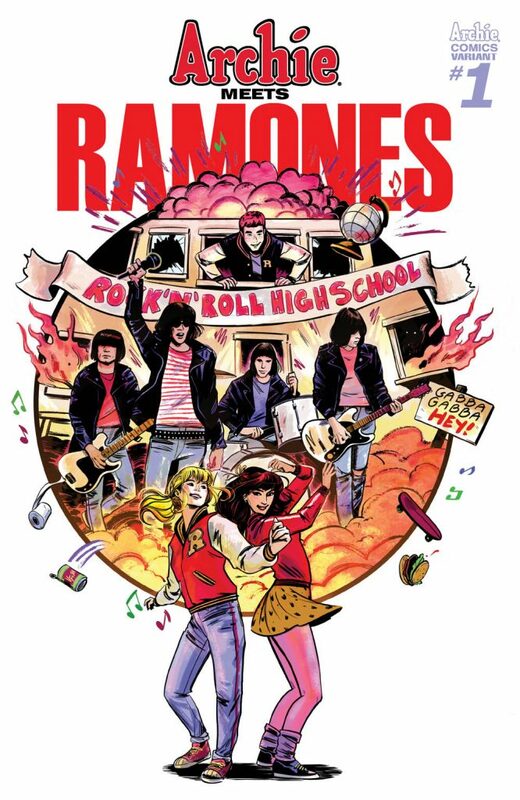 When the Archies tank at the Riverdale High Battle of the Bands, a magical twist of fate sends them hurtling into the past—and face-to-face with none other than the Ramones! Can the legendary punks get the Archies to realize their own rock ‘n’ roll potential and find their way home? 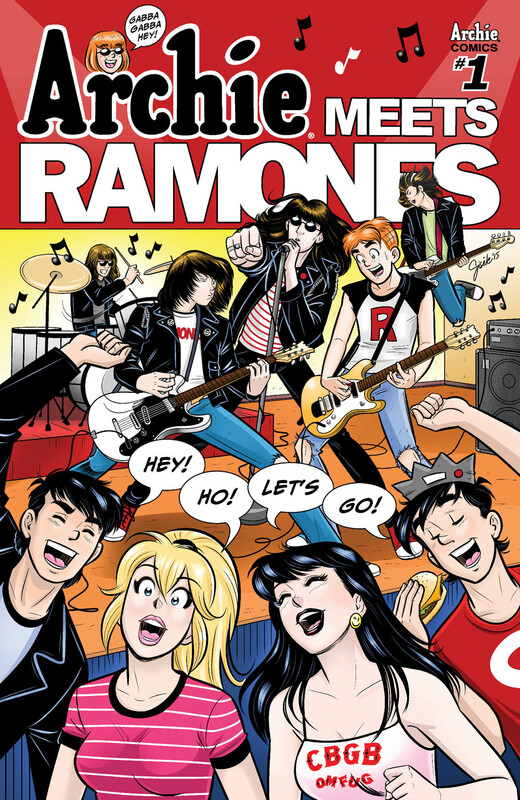 Probably not—but it’ll be a blitzkrieg bop of a journey, as the two bands bounce from 53rd and 3rd to Rockaway Beach in this must-read crossover from the writers of the best-selling ARCHIE MEETS KISS and WE CAN NEVER GO HOME with jaw-droppingly beautiful art from Gisele Lagace (“Occupy Riverdale”)! alex segura, Archie, archie meets ramones, gisele lagace, matthew rosenberg. Bookmark.